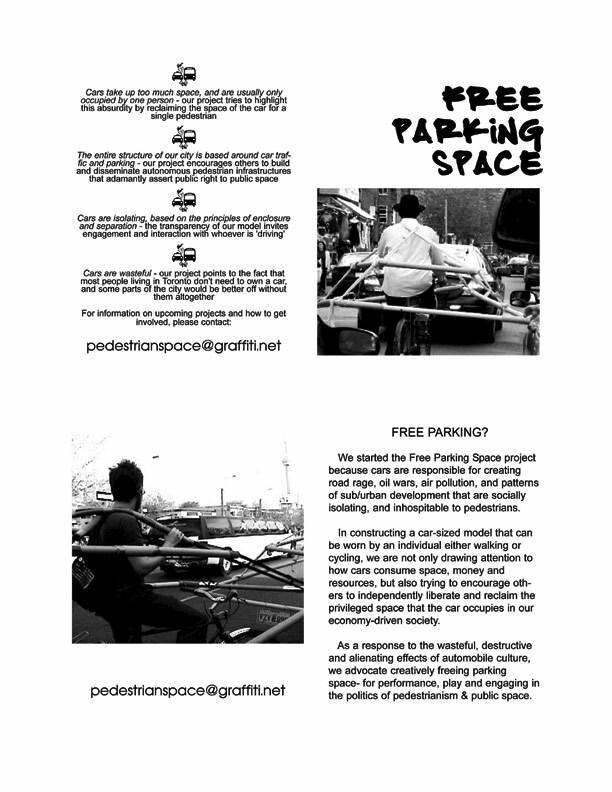 The Free Parking Space project was created by the Pedestrian Mob, a loose collective of individuals who seek to engage the urban environment as a locus of numerous social ills and inspirations. 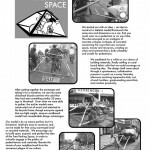 Participants in the project used recycled cardboard tubes to construct car-sized frames that could be worn in motion by both cyclists and pedestrians, constituting a kind of autonomous, portable pedestrian infrastructure. 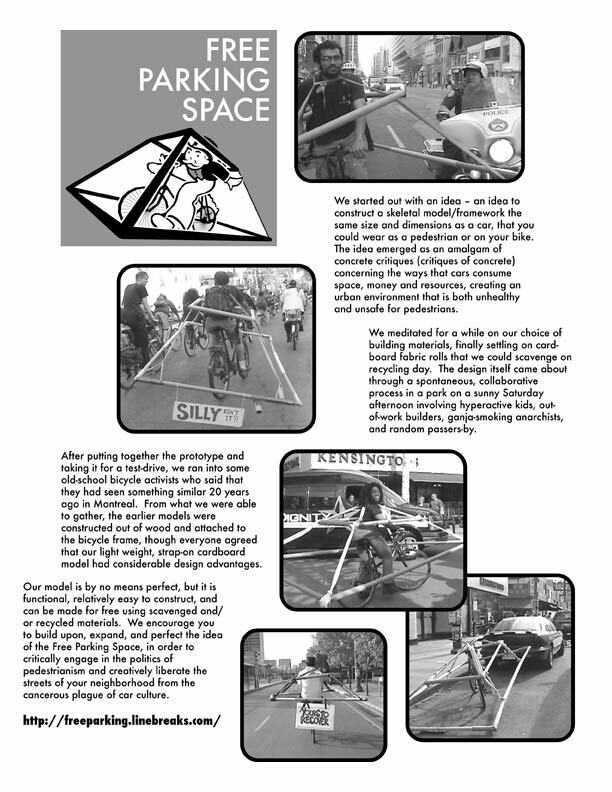 With the structures slung over their bodies, they staged several mobile interventions throughout the city of Toronto which playfully worked to critique and reclaim the privileged space occupied by the car in our economy-driven society. 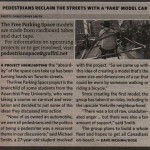 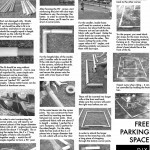 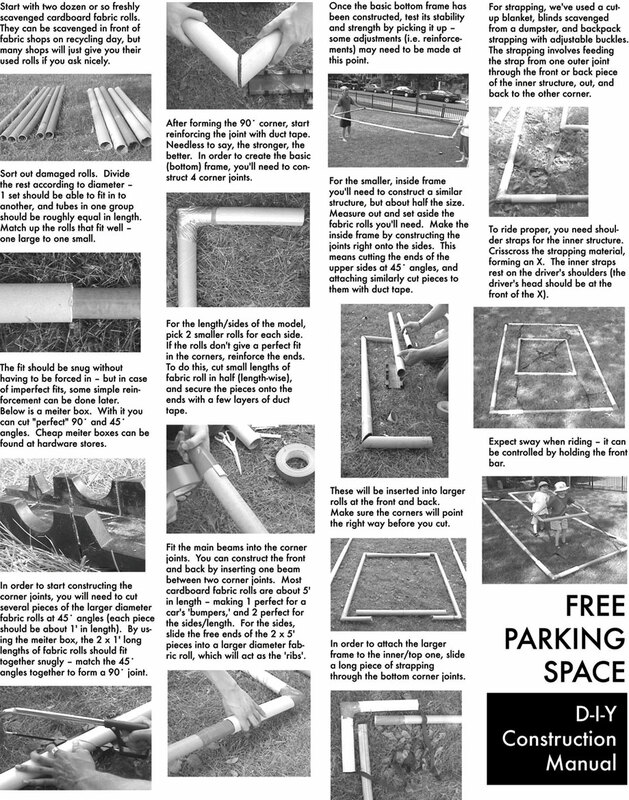 In "Free Parking Space: Elementary Exercises in Auto-Intervention," an article published in Public 32, the Pedestrian Mob states: "As a response to the wasteful, destructive, and alienating effects of automobile culture, we advocate creatively freeing parking spaces—for performance, for play, and for engagement with the politics of pedestrianism and public space." 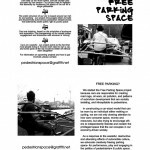 Free Parking Space, a.k.a. 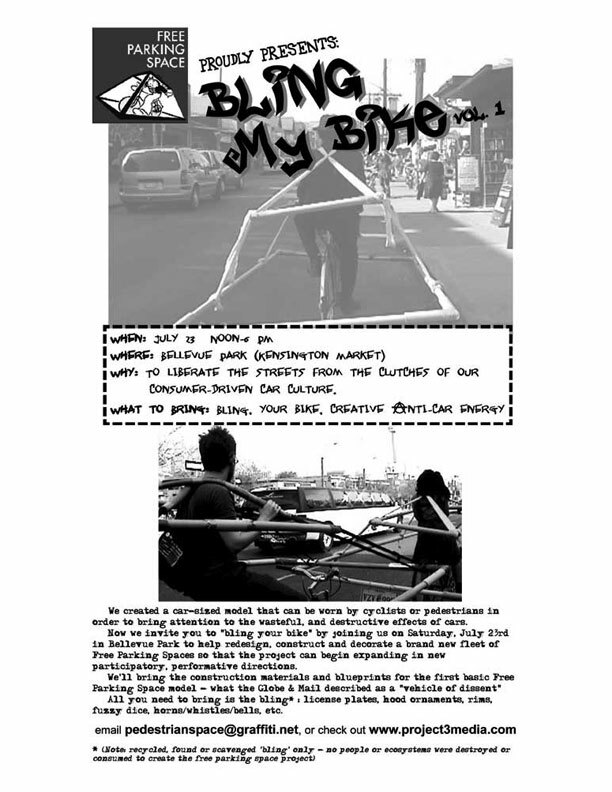 "Bling My Bike"
Update: The trial in July 2006 was dismissed because the police officer who issued the ticket for the “careless driving incident” did not show up. 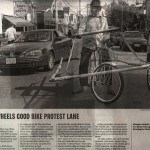 Mike Smith, “Crash Consciousness,” Now Magazine, June 16-22, 2005. 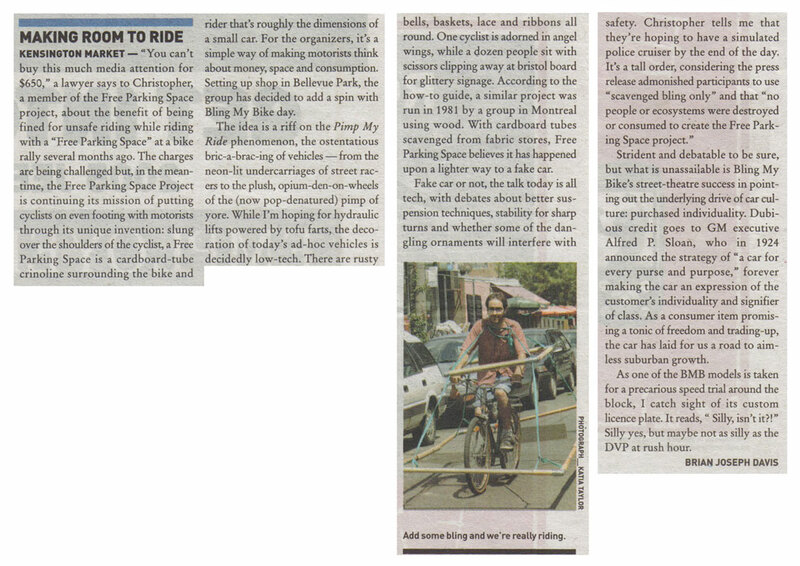 Brian Joseph Davis, “Making Room to Ride,” Eye Weekly, July 28, 2005. 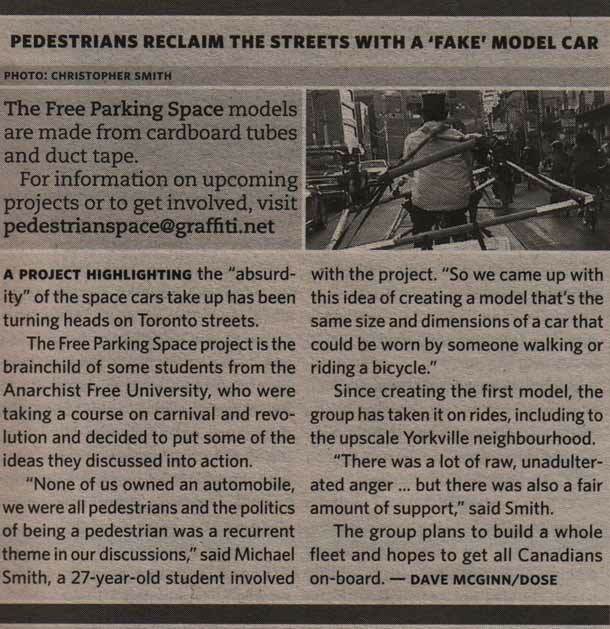 Dave McGinn, “Pedestrians Reclaim the Streets with a ‘Fake’ Model Car,” Dose, June 7, 2005. 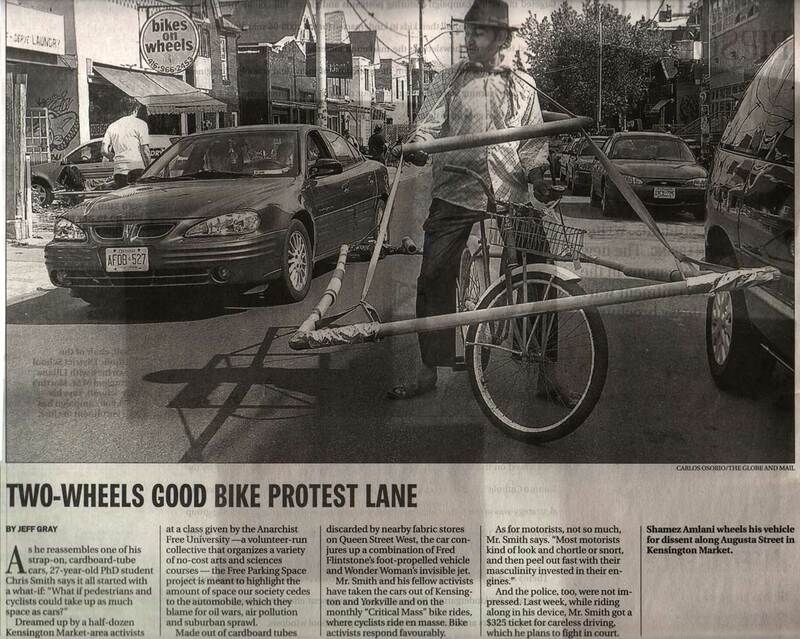 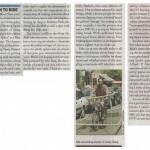 Jeff Gray, “Two-Wheels Good Bike Protest Lane,” Globe and Mail, June 25, 2005.